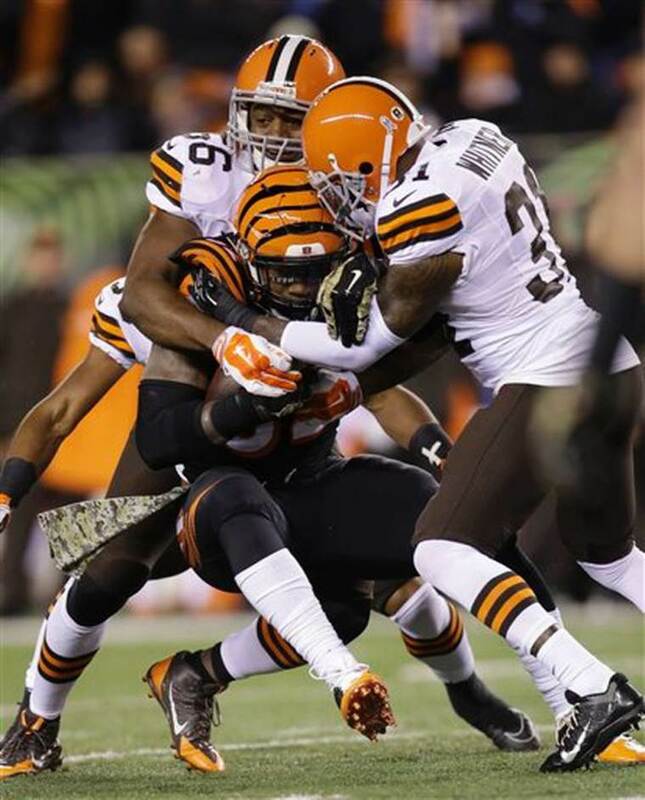 According to Jeremy Hill, the Cleveland Browns, who beat the Bengals handily Thursday night, are not that good. “They’re probably worse than I thought, to be honest with you,” Hill said, per ESPN.com’s Coley Harvey. Hill got one thing very right: The Browns won the game. They also held him to 55 yards rushing, caused him to fumble, forced three interceptions and held Cincy to fewer than 200 yards of total offense. Simply, the Browns outplayed, outcoached and outworked the Bengals in every facet of the football game Thursday night. It got so bad that at one point in the fourth quarter Hill chucked his helmet on the sidelines in frustration. When asked about being exasperated, instead of listing all his own team’s problems, Hill decided to unload on the Browns, again.